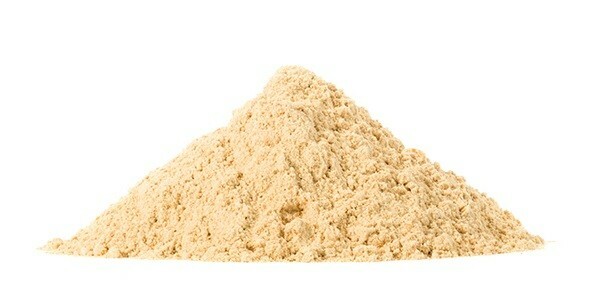 Maca Powder contains many vital nutrients and has a rich caramel flavour and a wonderful toffee-like aroma. Certified Organic and Raw Maca Powder. Maca powder is an versatile and exceptionally nutrient-dense food extract made from the root of the Peruvian maca, which has been cultivated in Peru for thousands of years. Its benefits have long been treasured – considered by some to be a powerful adaptogen (a natural substance that many believe can help the body adapt to stress). Thanks to its impressive nutrient content, unique flavour and handy versatility, maca powder is rapidly becoming a much sought-after item on our nation’s weekly shopping list. But what is maca powder and where exactly does this exotic-sounding ingredient come from? Well, to answer the question, it’s first necessary to travel to the other side of the world, to the fascinating continent of South America. It is a natural, nutrient-dense food extract made from the root of the Lepidium Meyenii – a tuber crop that’s native to the high Andes of Peru. 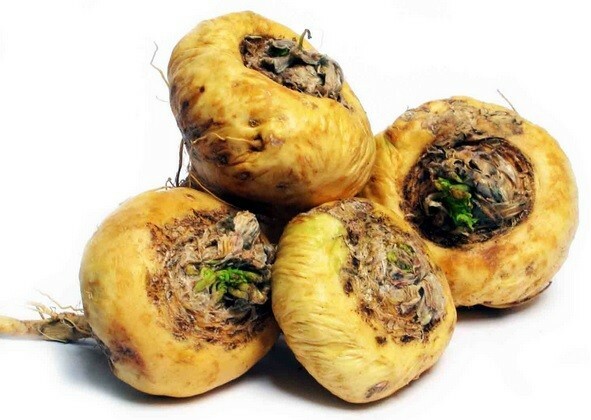 The root, which is somewhat similar in appearance to a small turnip or radish, is the most prized part of the maca, a hardy plant that flourishes at extreme altitudes and is thus especially suited to organic cultivation. Maca powder is prepared by drying this special root at low temperatures (in order to preserve an optimal number of its naturally occurring nutrients) and then grinding into a fine powder. 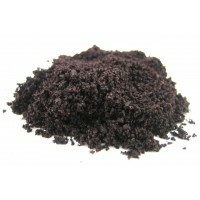 As a completely natural powder the colour of maca can vary considerably - from white and yellow to red, purple and even black. Maca powder contains a wealth of beneficial nutrients, including vitamins (B1, B2, C& E), minerals, complex alkaloids, fatty acids and sterols. 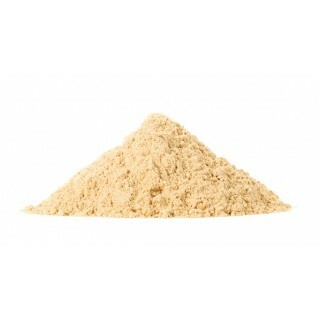 In fact, maca powder is rich in both vitamin C and calcium. Vitamin C, which is is also known as ascorbic acid, performs several important bodily functions - it helps to protect our cells and keep them healthy for example, and is important for the maintenance of healthy connective tissue. Calcium is the most abundant mineral in our body, and it too fulfils several vital roles including help build stronger bones and teeth. It makes an ideal partner to raw cacao products and thus makes a mouth-watering addition to raw chocolate. 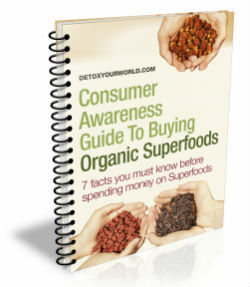 Try stirring maca powder into raw food recipes for for spectacular results every time! Try it in particular with raw chocolate, they are a accompany each other perfectly! Like all smoothie recipes, they are super easy to make and are a great hit of energy to keep you going! Start with half a banana and put into your blender. Add to it 1 tablespoon of almond butter, 1 tablespoon of maca powder and finally the almond milk. Blend everything together. If it is too thick for your preference add more almond milk. Known locally as the 'Aphrodisiac of the Andes’, maca powder is also often referred to by its Spanish and Quechua names of maca-maca, maino, ayak chichira, and ayak willku. 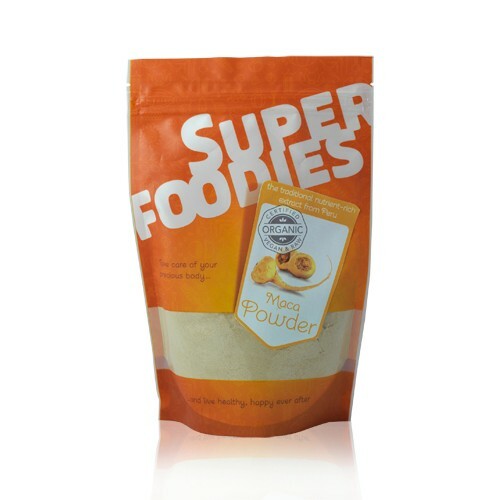 This is the same, great Maca Powder from Detox Your World, but now in a brand new Superfoodies bag! Maca powder is rich in vitamin C. Vitamin C contributes to normal collagen formation, for the normal function of blood vessels, bones, cartilage, gums, skin and teeth. It also contributes to a normal energy-yielding metabolism, normal functioning of the nervous system, normal psychological function and the normal function of the immune system. In addition, vitamin C contributes to the protection of cells from oxidative stress, the reduction of tiredness and fatigue, the regeneration of the reduced form of vitamin E, and increases iron absorption. 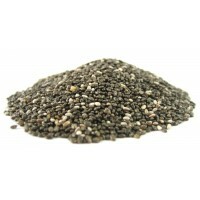 Maca powder is rich in calcium. Calcium contributes to normal blood clotting, a normal energy-yielding metabolism, normal muscle function and normal neurotransmission. It also contributes to the normal function of digestive enzymes and has a role in the process of cell division and specialisation. In addition, calcium is needed for the maintenance of normal bones and normal teeth, as well as the normal growth and development of bone in children. Do not buy maca powder if you have an allergy to any of the ingredients found in cruciferous crops. Always read the product information before choosing to eat maca. 1 to 2 tablespoons (8 to 16 grams) daily. In rare cases can cause insomnia, skin complaints, menstrual problems, decreased libido, weight gain, hot flushes and temporary detoxification symptoms including headache, abdominal pain, nausea, diarrhoea and dizziness. Consult your GP before you order maca, especially if you suffer from heart disease or thyroid problems, or are pregnant or breastfeeding. Great product, well packaged and delicious! Love the smell! Put it in my morning drink, gives you a boost! Love this product and get a spoonful of it in wherever I can - smoothies, juices, cake mixes, sometimes even just off the spoon! Definitely one to keep in stock. We make nightcaps with organic coconut, rice or almond milk with a good amount of Maca and Cacao. It should knock you out, but it has other ideas! It's lush!